Commedia Dell`Arte is an ancient form of theatre originating in Italy in the 1700`s. 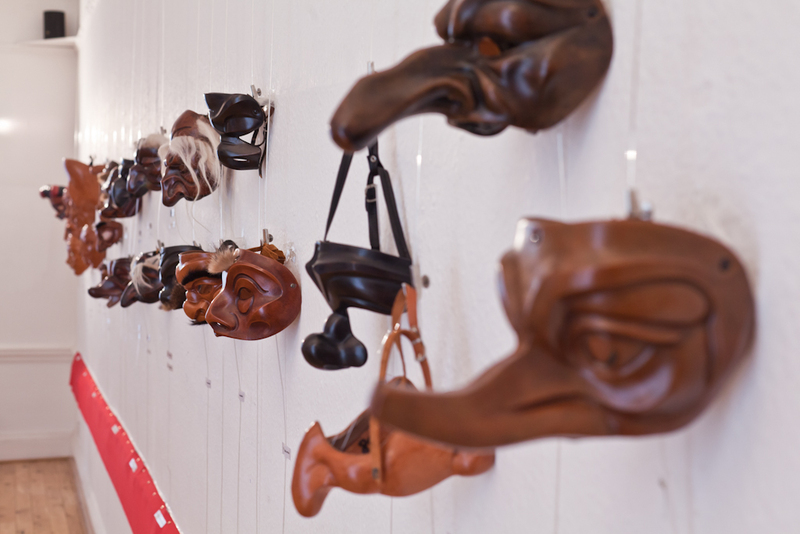 It is the ancestor of modern day pantomime. 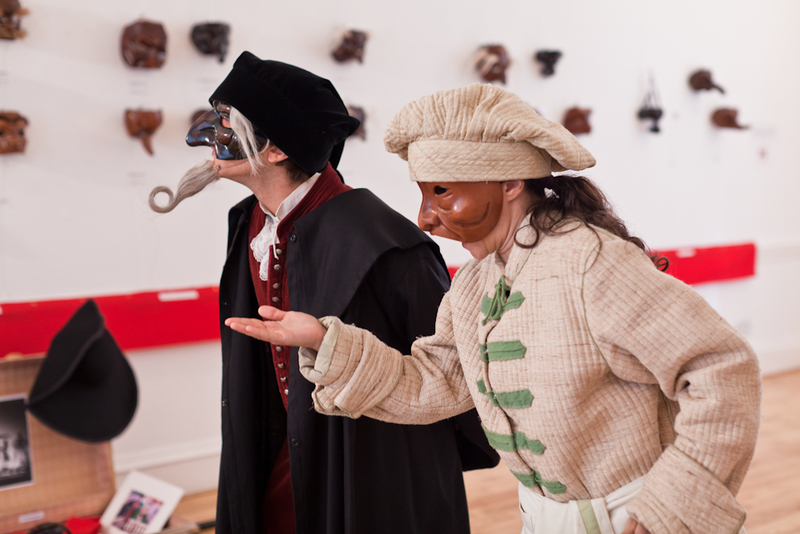 The central characters use masks and are modelled on stereotypes found in most walks of life, the most famous being that of Arlecchino, who later became known as Harlequin. 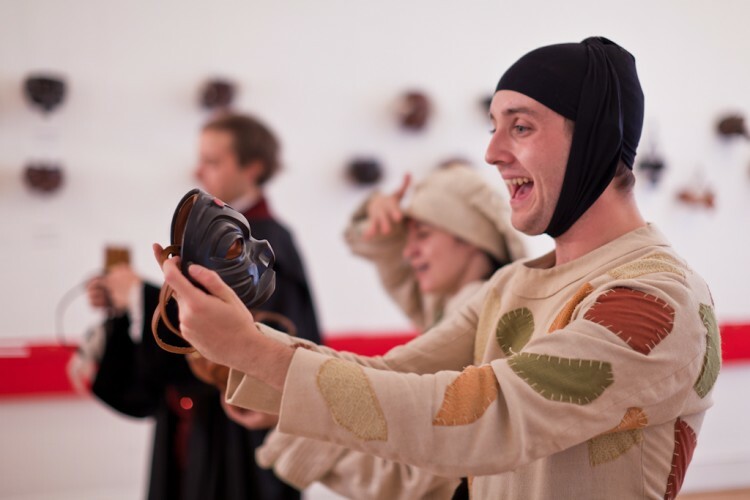 Charioteer Theatre has held two Theatre Laboratories on this wonderful form, led by internationally renowned Giorgio Bongiovanni. 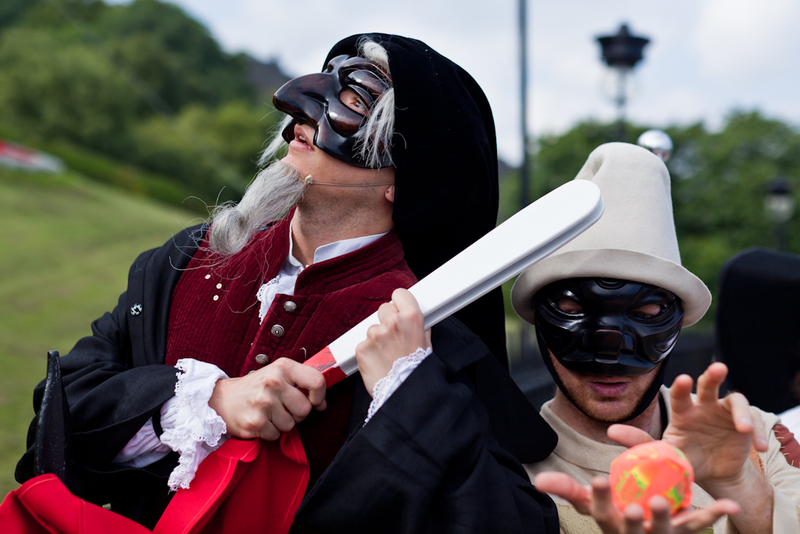 This production is the fruit of these laboratories. Commedia Comes to Town is a fast moving comedy incorporating ridiculous plots, music and audience interaction. The script is based on The Servant Of Two Masters by Carlo Goldoni, and is directed by Giorgio Bongiovanni and Laura Pasetti. It is suitable for all age groups and runs for 1hr 20mins with a short interval. 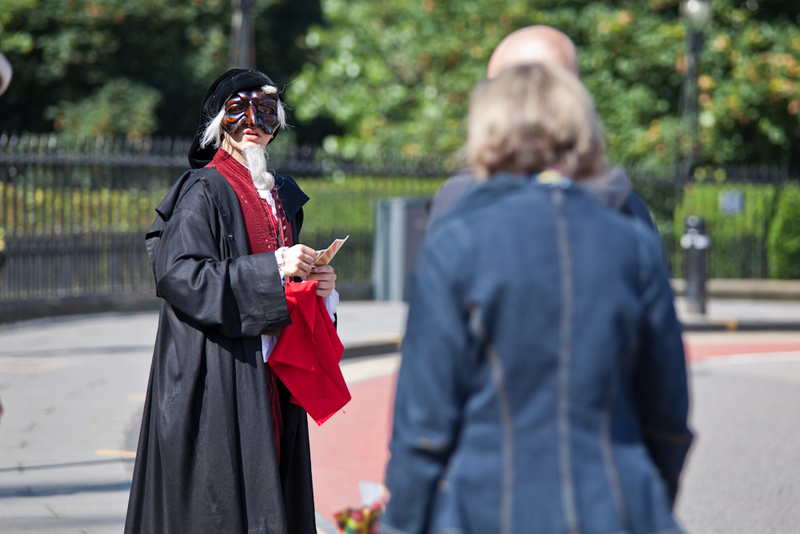 6 actors will present themselves as a group of actors in 1700, arriving in town and getting ready to perform a comedy. In the first part, the audience will see the actors preparing for the show, revealing their daily lives, their relationships with each other and their manager, and the mixed blessings of an artists life in the 1700s. 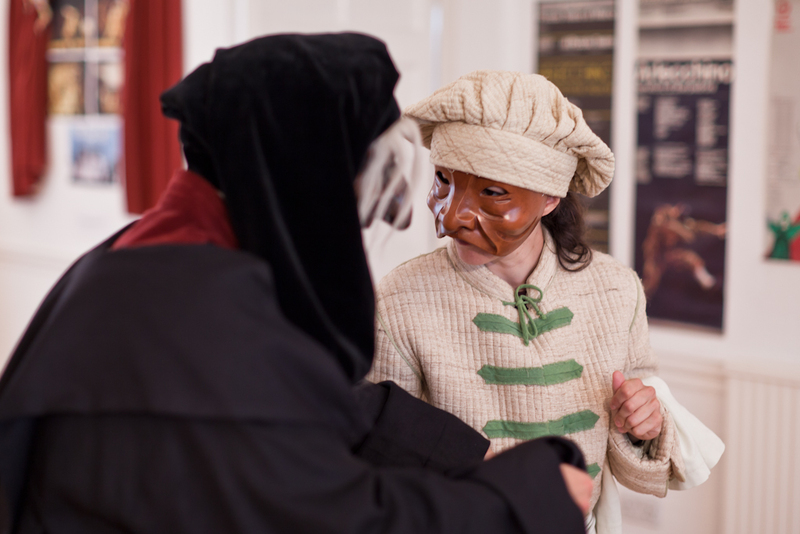 The actors interact with the audience, and introduce them to the masks and the basic elements of this craft. 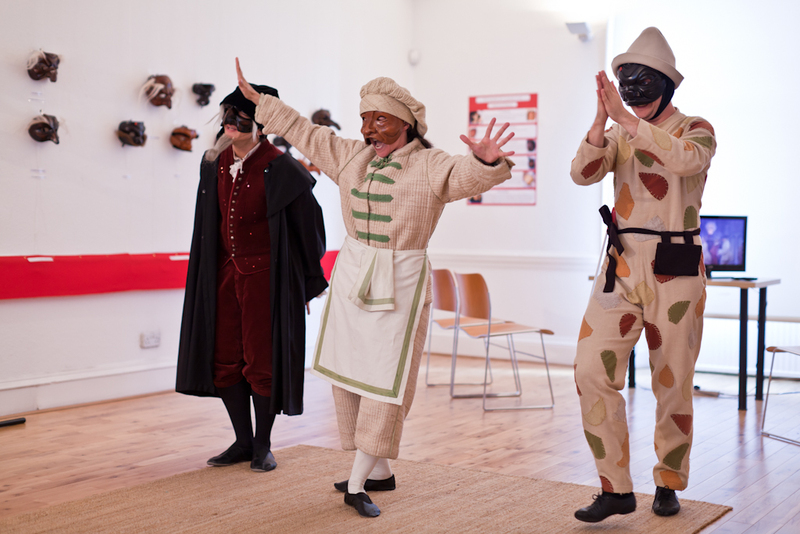 In the second part the actors perform the show.